Our “Harvest” supper was late this year, (2016)and it was November before we got together for a meal at the Brig O’Tay. That didn’t dampen the enthusiasm or the enjoyment, though, and we had a good evening. Unfortunately, no one thought to take photos this time! 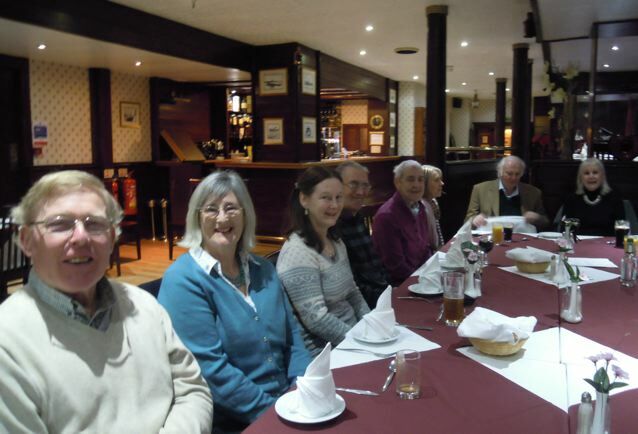 Our Harvest Supper was held at the Brig O’Tay on 13th October. 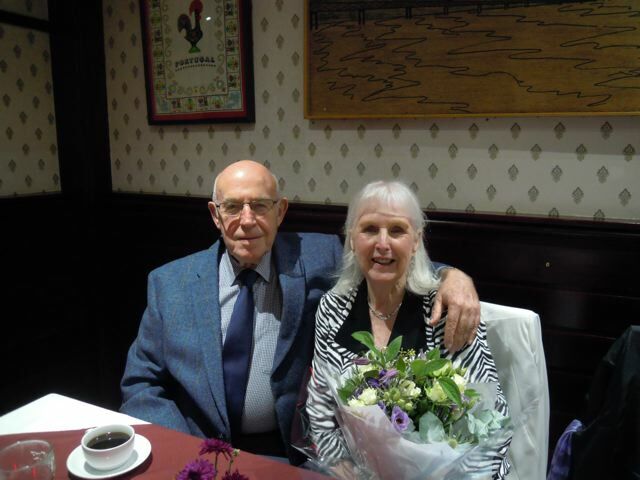 However, it was a double celebration, because two days later, Dorothy and Steve Lemon were celebrating their Diamond (yes, Diamond!) Wedding anniversary. Congratulations to both of them. 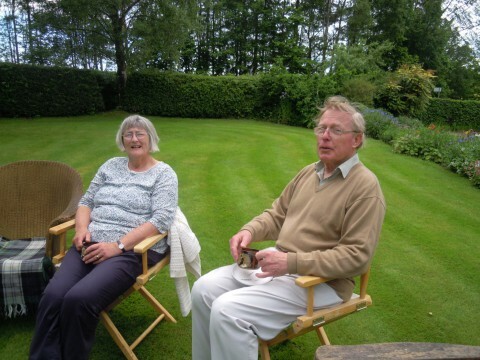 7th July 2015 saw us back at The Brig O’Tay for another meal out with members of the congregation. 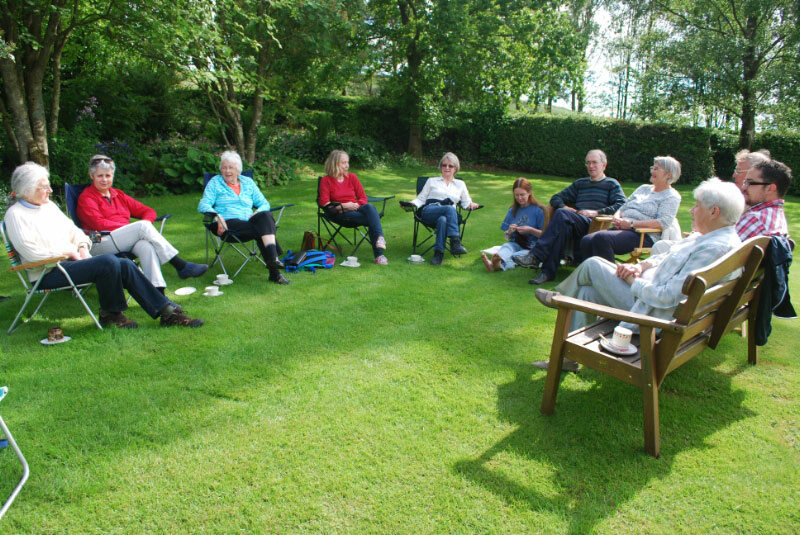 A lovely evening was had by all. 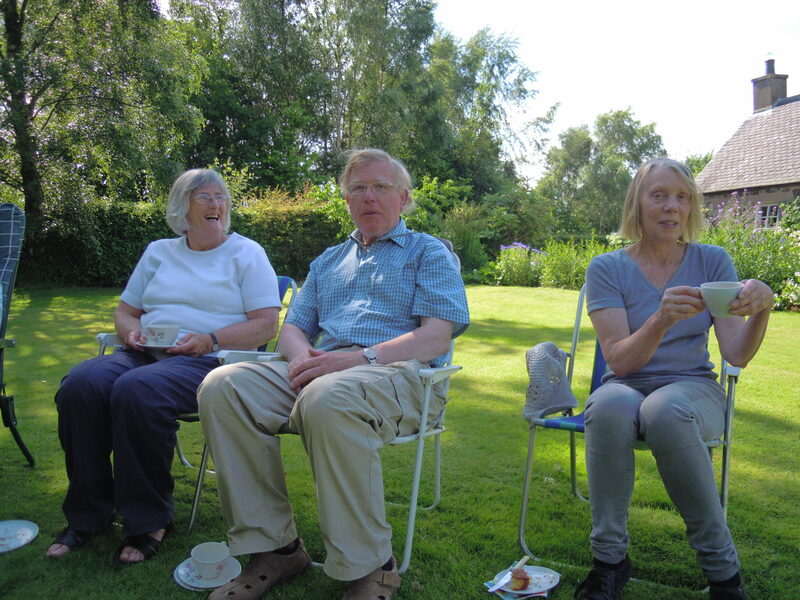 On 21st June 2015, on a warm afternoon, congregation members were invited to a walk round Glenduckie Hill, and afterwards we enjoyed tea and cake in the garden. 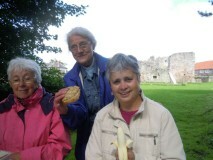 The event was in aid of the Building Fund, and £130 was raised. Thanks to all who participated, and especially to our host and hostess. 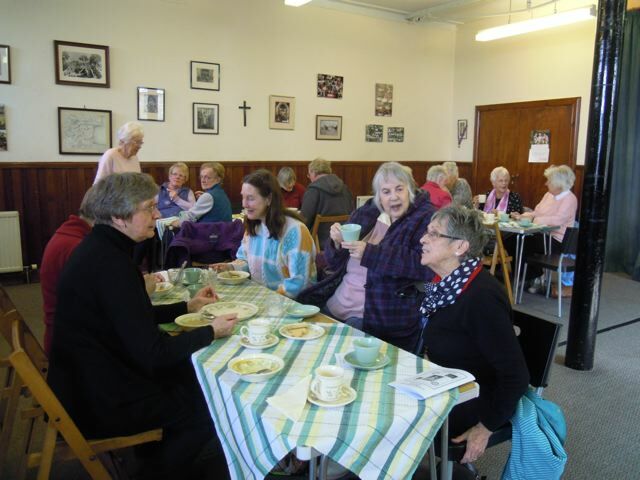 After the Eucharist every Sunday, we meet in the hall for coffee/tea and chat. Once out of the church door, turn left and follow the path round the church and down the steps. The hall is on the left, underneath the Rectory. 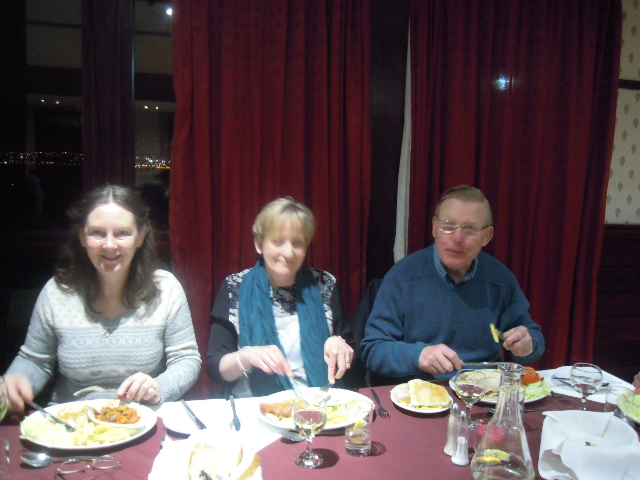 Fifteen of us enjoyed a Shrove Tuesday meal at The Brig O’ Tay on 17 Feb 2015. 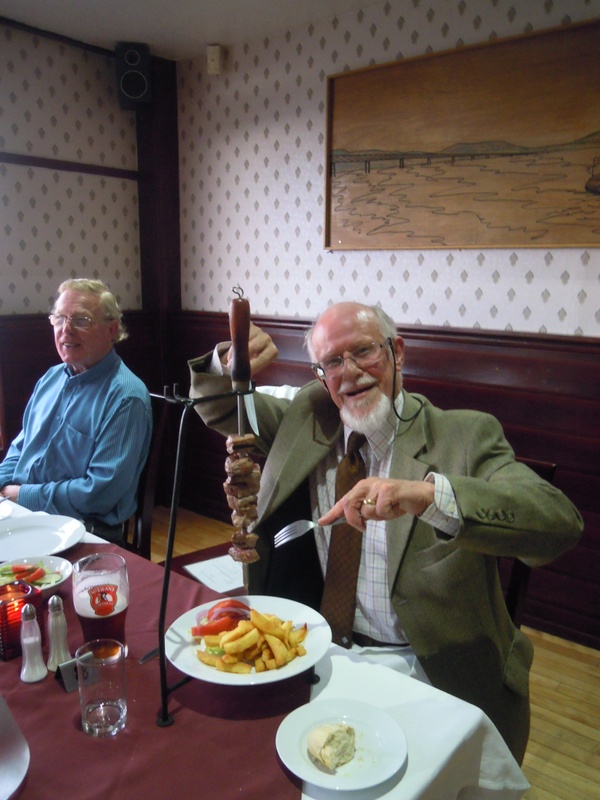 Our next meal is already booked, for 23rd June!! 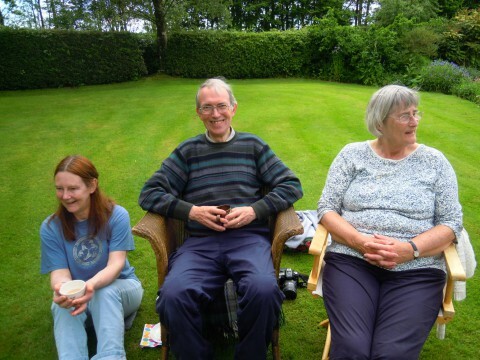 The Parish picnic took place at Balmerino Abbey on 2 August 2014. 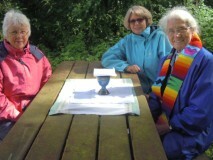 We had a Eucharist followed by a picnic. 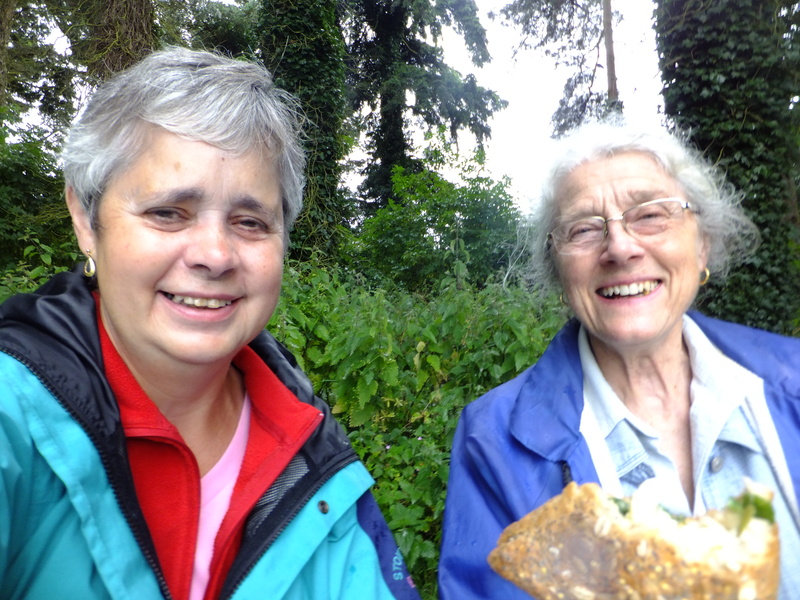 Unfortunately, the weather was not kind, and only 2 hardy pilgrims turned up! Where were you all? 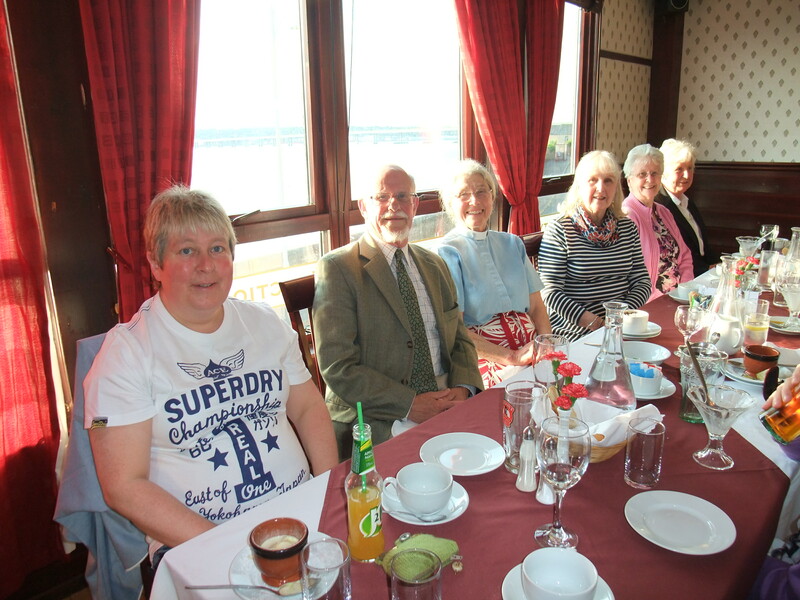 On Shrove Tuesday 2014, we enjoyed another convivial meal together at the Brig O’Tay. 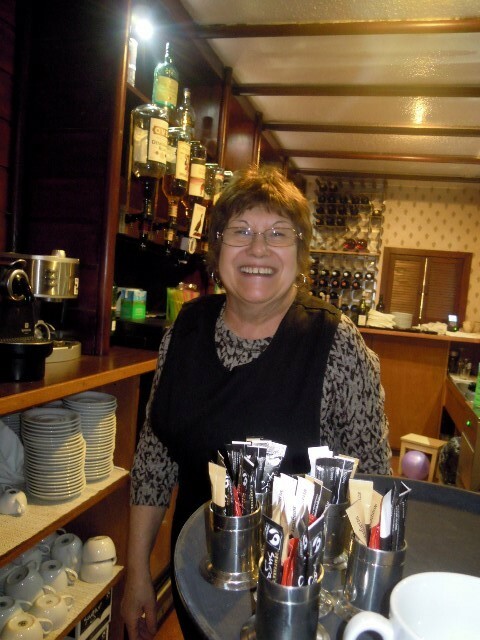 We have had 3 successful evening meals at the Brig O’Tay in 2013, at Candlemas, midsummer, and at harvest time. 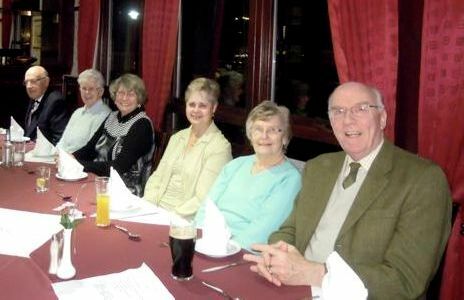 There was a good turnout on each occasion and the evenings were much enjoyed. A well earned rest after our walk! 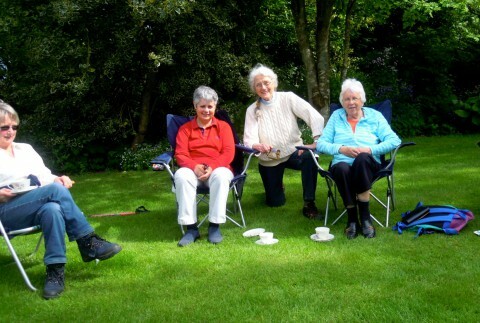 In the summer of 2013, we were invited to the home of one of our congregation , on a beautiful warm day, when some energetic people went for a walk over the hills, others remaining in the garden. 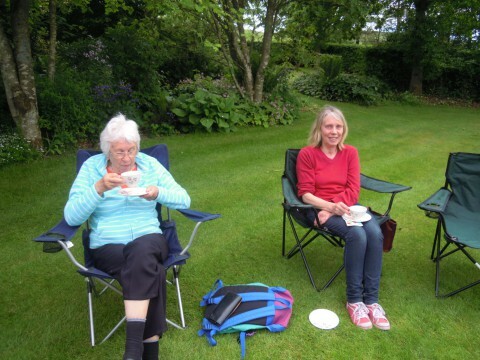 Afterwards, the walkers joined the others in the garden and we were served tea and cake. A collection was taken for the building fund.